Welcome to SportsBettingAM – the website that delivers free betting tips every morning, just in time for your coffee. Check betting previews with statistical calculated predictions for a variety of sports played all over the world. 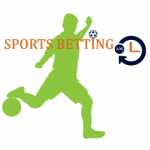 Soccer is the main sport we cover, with betting predictions from all major European competitions like English Premier League, Spanish La Liga, German Bundesliga, Italian Serie A or the French Ligue 1. All betting tips are listed here two days in advance, so that all of you can also have time to check the prediction and any statistics to confirm our choice. Above daily soccer betting tips are provided for free, with no strings attached. More soccer predictions can be found on each individual match from selected football competitions. The football betting picks are published 2 days in advance of each game, giving users enough time to check the prediction and statistics behind it and also place a bet with a recommended online bookmaker. SportsBettingAM covers all the major football leagues, and many more are added as the football action unravels throughout the year. Betting Tips: Our website provides free daily tips for sports such as soccer, tennis, basketball and horse racing. All betting picks are based on exhaustive statistics. Bonuses: Check recommended sports betting bonuses from trusted and regulated betting websites. You may also check a complete list for welcome bonuses. Promotions: Betting promotions that you should not miss from top betting websites. Check a categorized list of betting promos with cash backs, free bets and ACCAs.